It's been more than two years since this article was written, and I've used a couple of lenses since that have made me change my mind about the list below. Scroll down to see my updated recommendations. Needless to say, the old recommendations still stand - a lens doesn't become worse by time! The update only means that there are some lenses that, in my opinion, deserve a place in the list. I think it's quite ironic, how many photographers (and I include myself) spend much of the time worrying about lens sharpness, and almost equally much about lens... "blurriness". Bokeh, the subjective perception of out-of-focus quality is something at least I, as a professional portrait photographer, consider more important than sharpness. Between a hypothetical lens with superb sharpness and poor bokeh and one with only fair sharpness but stellar bokeh, I'd pick the latter any day. But why would I do that? Isn't the "blurry stuff" the least important? Well, read on! Characteristically bad bokeh, with the highlights revealing nasty, highly distracting shapes. A smooth, creamy, very discreet bokeh. So, how can we get beautiful bokeh? Well, unfortunately (or fortunately, if you wanna see the glass half-full), each lens has its very own physical characteristics (mostly related to the aperture blades design) which seal its...bokeh fate before it even reaches your hands. Some lens have superb bokeh, others don't. As simple as that. However, there is still something important to know: The bokeh characteristics of a lens are not even throughout its aperture (and focal length, if a zoom) range. Learn your lenses, as this will help you get the best of them. Here are a couple of more recommendations. As I said in the introduction, this doesn't mean the lenses above are any worse; only that you should consider these below, as well. Such a lovely surprise of a lens. 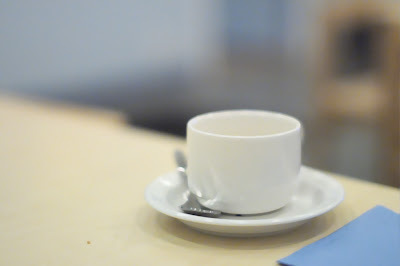 You only lose autofocus, the rest is brilliant, including amazing bokeh. The Samyang 85mm f/1.4 has a flawless bokeh! Difficult scene, with a lot of highlight blobs. The Sigma did a super job rendering them smoothly. I would use any of the above without any worries. Wide-open, the AF 85mm f/1.8 and the AF 50mm f/1.8 are wonderful, but far less so stopped-down. Their AF-S counterparts are better. Another factor that affects bokeh (especially in 'not-so-great-stopped-down' lenses), is the distance between camera and subject and subject and background light sources. Based on my findings and experience, I would say the worst case scenario with these typical portrait lenses mentioned above (AF 85mm & 50mm f/1.8) is an aperture of f/5.6-f/8, with the subject about 4m/12ft from the camera, and highlights present at a distance of about 30m/90ft away. 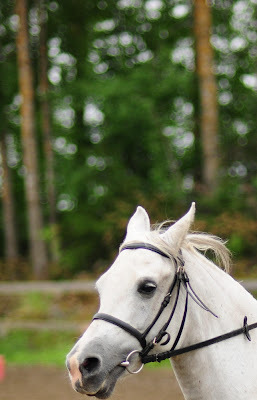 Pretty much what you see in the "bad bokeh" example photo, with the horse.